The Spanish Wine and Food Tourism Association estimates that wine tourists spend around 500 € per day in Spain. Most of these tourists come from the United States and Canada, followed by Australia and several European countries: United Kingdom, Germany, Scandinavia and the Netherlands. There are also reservations from various Asian countries. Their stay in our country is around one week. They prefer to visit wine areas and to stay around 2 days in cities: Madrid or Barcelona, ​​mainly, but also San Sebastian, Bilbao, Segovia, Seville … They love Spanish wine, gastronomy, history and culture. Wine tourism is boosting in Spain, as it is not overcrowded or seasonal and uses the resources of the territory. Therefore, specialized agencies play an important role in this. 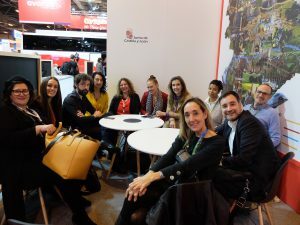 The Spanish Wine and Food Tourism Association celebrates its tenth anniversary this year (it was founded on February 17, 2009), with several open projects, all of them aimed at highlighting wine and gastronomic tourism.